Basement wrote: My cat couldn't give a flying monkey for the changing of the bed linen. What strange eldritch enchantments do you use to achieve this wondrous state of affairs? To make the cats not care or the monkeys fly? Grace Speaker wrote: I DON'T OWN A BLACK CAT!!!!! Nothing, not even nip! He rarely goes on my bed without me on it too. This one had an insane moment at the TT one lucky cat one life used. Cor! That is one very daft but very, very lucky moggy!
. . . can't help feeling that there aught to be a joke in there somewhere about 'Why did the cat cross the road?' . . . any suggestions for punchlines? Grace Speaker wrote: Cor! That is one very daft but very, very lucky moggy! Because he wanted to race the bike to the other side. Because it was Groundhog Day? Message to all pilots of small / light aircraft: Please remember to remove cats before taking off!! 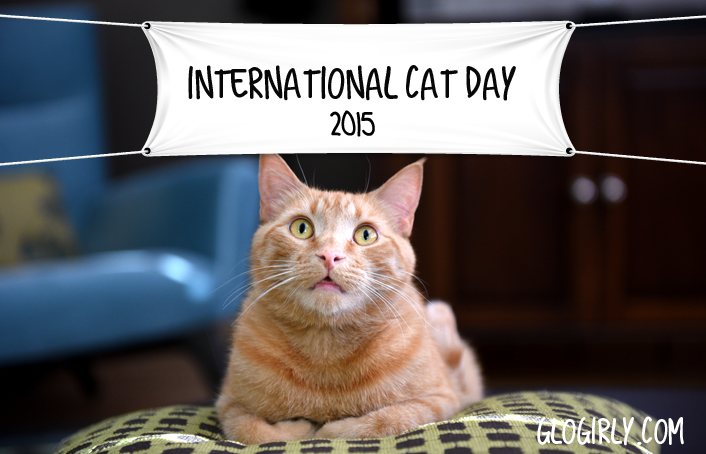 This is news to my cats - as far as they are concerned, every day is International Cat Day . . .
Just gone into the kitchen with the good intention of taking out my frustrations at stupid Guardian articles by pretentious morons out on the washing-up, only to find Felix the kitten making off with the scouring sponge out through the cat-flap! What the hell is the little bugger up to?! ?